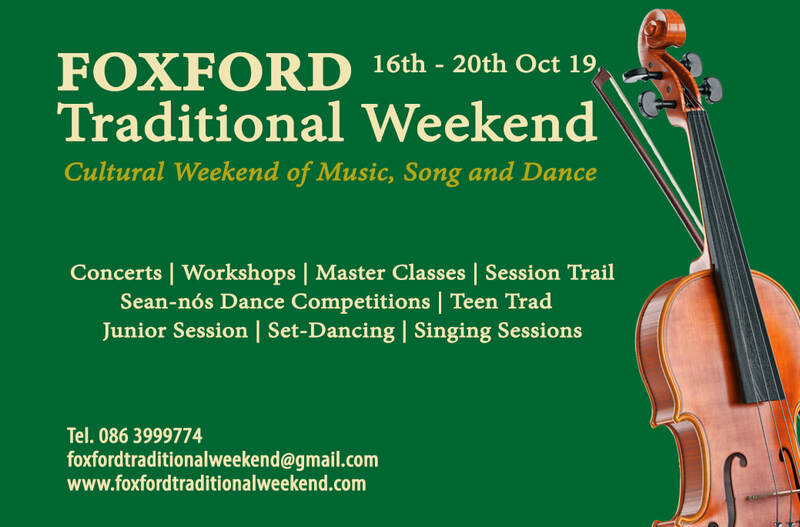 A warm welcome awaits you in Foxford for a weekend of Traditional Irish Music, Song & Dance for all ages with concerts, master classes, workshops, sean-nós dance competitions, music sessions and lots, lots more. Foxford is a small town in county Mayo, on the west coast of Ireland, steeped in Irish music. And so Foxford prepares to welcomes you to the fifth annual Foxford Traditional Weekend. Our aim is to highlight our local culture of Irish Music, Song and Dance and make it accessible through a fun environment, where all ages can learn and further their skills at the workshops or just come along and soak up the atmosphere. The success of the weekend comes from the vast wealth of local and visiting musicians and performers and their longstanding efforts to pass on and display their skills and knowledge of Irish Music, Song, Dance and Storytelling. 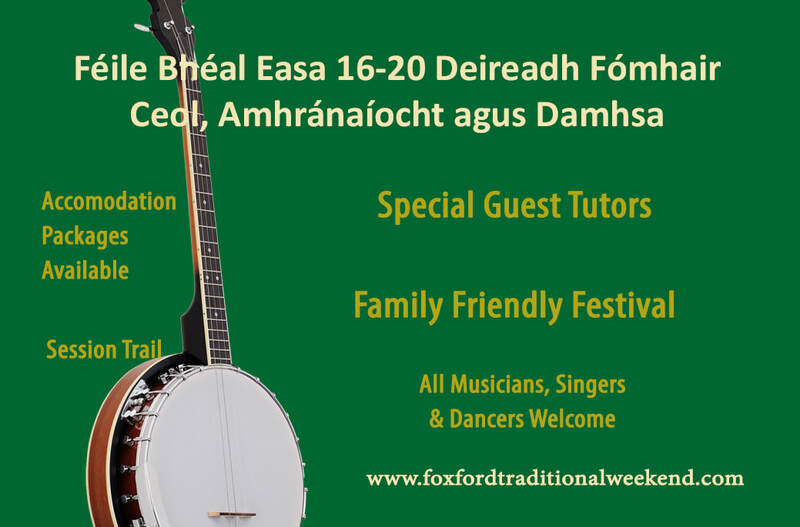 The Foxford area is home to many musicians and tutors who are known not only countrywide, but worldwide, and we are lucky enough to have many of them teaching and performing over the weekend. A full programme of events for 2019 will be updated on this site shortly.